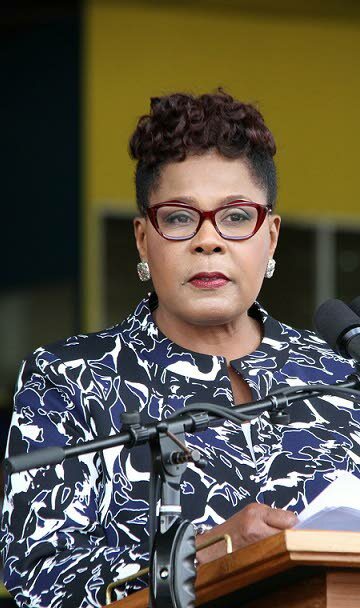 Three days after devasting floods wreaked havoc across the country, President Paula-Mae Weekes has responded, saying she has been observing the unfolding events with "mounting horror and grave concern. She said in a media release, "Whether caused by an Act of God, omissions or commissions of institutions or individuals or any combination thereof, this is not the time to ascribe blame." Instead, citizens must "all come together as a nation" to give whatever assistance to those in such desperate need. "Many of our individual and corporate citizens have led the way in extraordinary demonstrations of bravery, compassion and generosity. We thank and commend them and let us all follow suit to whatever extent we are able," Weekes said. She also thanked the protective services, regional corporations, disaster management organisations, non-governmental organisationss and "all who selflessly gave service." "Just when many were despairing of the national ethos, we have seen cause for hope. Trinidad is a real place," Weekes said, referencing a popular social media hashtag that says "Trinidad is not a real place," about some of the more absurd occurrences in the country. To those who have suffered trauma and loss, some of whom are staff of the Office of the President, she extended heartfelt sympathy. "As dire as things are, know that we are all hoping, working and praying to bring whatever relief we can in the shortest possible time." Weeks also implored people to assess and better prepare in order to mitigate future disaster. "When the immediate concerns have been treated with, let us as individuals and organisations re-examine our practices and processes and put in place both preventive and remedial steps to ensure that all humanly possible is done to avoid a repeat of the catastrophic events and the chaos recently experienced," she said. TT is possessed of the heart, the knowledge and the expertise to get this right, she said. "Let us ensure that it happens. And may God bless our nation." Reply to "President ‘horrified,concerned’ by floods"